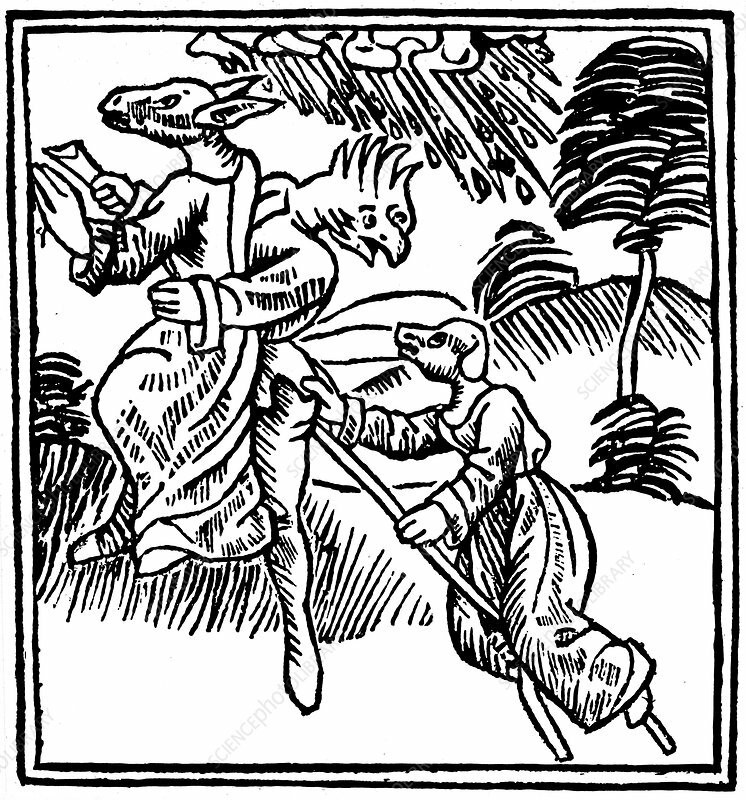 Witches turned into animals as they ride through the air on a stick. From Ulrich Militor De Laniis et phitonicis mulieribus, Constance, 1489. Woodcut.